✅Get scholarship on tuition and hostel fee for 4 years in one of the top university of China for Bachelor Degree | Study BBA | MBA in China on Scholarship for Pakistani students. In order to attract talented people from all over the world, china is offering lots and lots of scholarships for the international students especially for Pakistani students because of the china Pakistan economic corridor (CPEC). Chinese are the most business-oriented peoples in the world. The Chinese university business degree is recognized in the whole world, Chinese universities hire the very talented professor's from all over the globe regarding the Business field. If you hold the Chinese BBA degree you will be able to get a job in the whole world, because the world knows about the China business power. and even after completing your BBA degree you will also be able to start your own business easily. there is not even a single country in the whole world where China products are not used. there are lots of students who studied BBA in China and they are now doing jobs in CHINA, USA, UK, Australia, Germany, EUROPE etc. Studying in China from Pakistan. China, an ancient, mysterious and beautiful land, is always appealing to adventurous foreign visitors. As the third largest country in the world occupying an area of 9,600,000 sq km, it spans 62 degrees of longitude and 49 degrees of latitude. Business administration degrees Scholarship for Pakistani students involves various aspects of managing scarce resources in a business entity and supporting a business by production/planning, decision making, project management as well as allocating human resources and finances while, at the same time, carrying out organizational goals, policies and procedures. To obtain a Bachelor of Business Administration (BBA) in China, one must enroll in a four-year full-time study and concentrate on a specific area of business or commerce. The general courses related to business activity as the basis of the BBA degree programs. The education ministry directs education in China. The government often provides partial funds for higher education at technical and public universities. The Chinese government has also developed an academic curriculum that allows those students with vocational skills to cultivate their talents. Contact schools Top Bachelor of Business Administration Programs in China 2018. Find out more information about Business Administration BBA in China from Pakistan. Have you ever wished you could be more like Arnold Schwarzenegger? Well, put those weights down and go get a degree in Business Administration. Business Administration is a branch of Business & Management and, basically, even if you are a Bachelor’s or a Master’s degree alumni, you will have to learn how to keep track of performance within a company and apply major decisions – all of these actions having the sole purpose of creating a better and more profitable business. There may not be a more interdisciplinary degree than a Business Administration degree, seeing as it combines theoretical constructs and practical solutions with notions of Finance, Economics, Human Resources, Marketing, Information Systems, Accounting, and Law. The Top 6 Reasons to Study in ChinaIn recent years many countries across the world have seen an increasingly strong demand to study in China. In 2010 alone, the number of students from over 180 countries who came to study for degree and non-degree courses was more than 256,000. 1. 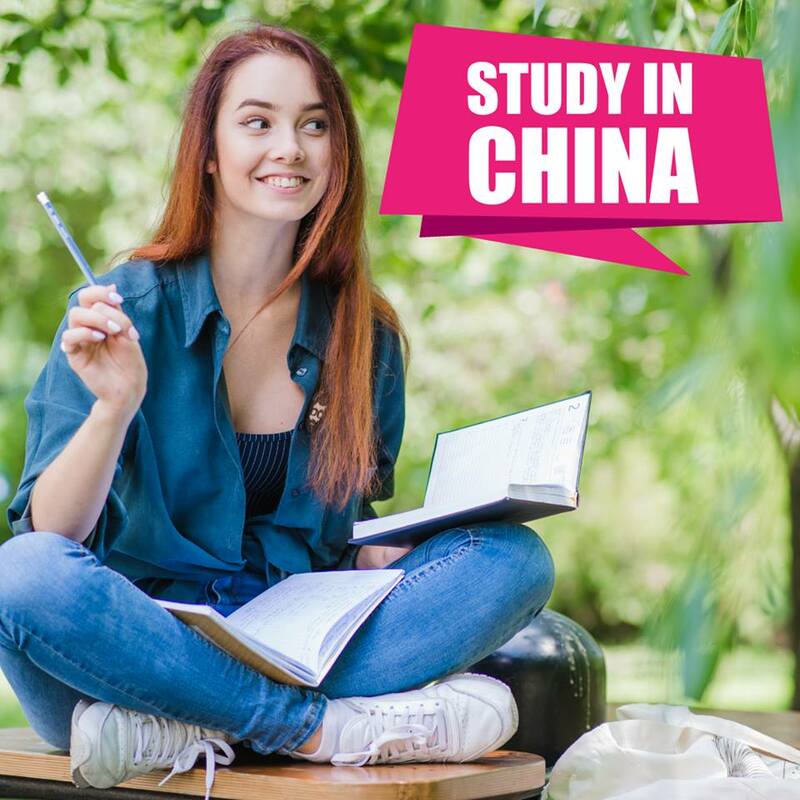 Affordable Study CostsCompared to some European countries, America, Japan, South Korea and other Asian countries, the cost of studying in China is much more reasonable. The tuition for English taught MBBS, Business and Engineering course etc. is only about 2000 to 4000 US dollars a year.You can live a content life with a small budget in China. In cities like Beijing or Shanghai, a rent for a small apartment will be at least 200 to 300 US dollars per month. In small cities and towns, housing prices are much lower, for example, a rent for an apartment with two beds could be 100 US dollars per month in the city of Qingdao, Dalian, Nanjing, Changsha, Weifang and so on. A meal at a local restaurant for one person could only cost 2-5 US dollars. A good pair of shoes might be about 20-30 US dollars at a local market. Taking a bus is usually about 15 cents, and a subway ticket in Shanghai and Beijing is about 30 cents. Located in the east of the world, China is a country with a long history and splendid civilization. Studying in China is the best way for you to fully enjoy this charming and mysterious country. Here you will start a journey of brand-new exploration: experience its unique mix of ancient and modern civilization, enjoy its scenic beauty, study its profound culture as well as making friends with students from all over the world. China is seeking to promote the development of first-class universities, and Chinese government has been invested heavily in education. There are around 6,000 tertiary education institutes in China are allowed by the Chinese Ministry of Education to admit international students with 160 of these institutes are authorized to hand over Chinese government scholarships. Universities offer both degree and non-degree programs not only for programs with distinct Chinese features such as Mandarin, Calligraphy, Kungfu, Classical Chinese Poetry, Chinese Medicine, etc, also programs in subjects such as MBBS, Business, Engineering and many other majors are provided, In particular, for those foreign students who want to gain some training on Chinese language, almost all the universities set up Language and Culture programs to help them learn Chinese, meanwhile, students can get comprehensive service about HSK test and examination. In addition, a lot of universities offer Bachelors. Master’s or Doctoral Degree programs taught in English so that even for those who don’t know Chinese, they can get the opportunity to pursue further development. The official educational certificates awarded by Chinese universities are internationally recognized. Bilateral recognition agreement has been reached between Chinese government and a great many of countries, including the USA, Britain, France, Japan and 65 other countries and regions. Therefore, it is very safe and guaranteed to study in China under the protection and support of the official authorization.Please visit China’s Higher Education to learn more about Chinese higher education. Known by all, China is the world's second-largest economy after the United States. It is the world's fastest-growing major economy, with average growth rates of 10% during the past 30 years. China is also the largest exporter and second largest importer of goods in the world. There is no doubt that China’s increasing influence as a global economic power will benefit all the students who study here. Huge demands of Chinese domestic market, numerous world’s top companies such as General Electric, Exxon Mobil, Volkswagen, and Siemens etc have made a strategic move to doing business in China with many of them site their Asia-Pacific headquarters in Beijing and Shanghai. Studying in China will offer you a chance to join these international groups and realize yourself in the global work market. Speaking Chinese certainly gives you more options, therefore, studying in China is a best way to learn Chinese and start your fantastic career. All in all, the vastness and complexity of China make it exciting to study here. With its rich culture and history, picturesque scenery and booming economy, China have always something to offer every student. So, young man, just go east, start a new life and begin an enjoyable journey, China is waiting for you!